On April 23rd, Israeli bulldozers uprooted dozens of olive trees from land farmed by Palestinians in East Jerusalem, located between the Palestinian neighborhood of Sur Baher and the settlement neighborhood of East Talpiot. The Israeli government expropriated the land from Sur Baher in 1970 for “public use,” barring Palestinian construction on the land but permitting owners (now legally ex-owners) to continue farming it; in 2012, the Israel Land Authority (ILA) – a quasi-governmental agency – submitted plans to build 180 residential units on the site for former Defense Ministry employees. In 2014, a Palestinian family petitioned the Court to modify the plan, in order to save their olive tree grove. The Court rejected the petition, ruling that the family should have petitioned against the 1970 expropriation, not the current plan. According to Palestinian media, the court case regarding the fate of these trees was still pending when Israeli authorities went ahead with uprooting the trees this week. The Israel Lands Authority announced that it plans to market the project (i.e., seek bids from construction companies) in the near future. Speaking to The Times of Israel, an anonymous official from the Defense Ministry said that the radical Yitzhar settlement near Nablus is responsible for the sharp rise of troubling “price-tag” attacks in recent weeks targeting Palestinians and their property. The official said that members of the “Hilltop Youth” – which is known to base its operations in Yitzhar – and students enrolled in Yitzhar’s religious school (the Od Yosef Chai yeshiva) are the main perpetrators. A leader from Yitzhar defended his settlement by blaming the Defense Ministry for allegedly targeting and mistreating the “Hilltop Youth.” At the same time, the Israeli Welfare Ministry confirmed that the Israeli government is involved in supporting an informal educational-vocational program in the Yitzhar settlement to try to redirect radical young settlers who identify with the Hilltop Youth. Yitzhar continues to function as the base for the Hilltop Youth, as evidenced by the IDF’s undercover arrest of a Hilltop Youth member in Yitzhar over the weekend. The settler was allegedly involved in throwing stones at IDF officers in an incident last week. Last year, in advance of evacuating one of the Hilltop Youth’s outposts, Israeli security officials met with leaders from the Yitzhar settlement in the hopes of deterring the settlement from allowing the displaced setters from taking up residence in Yitzhar. It was another eventful week of internal political jockeying amongst Israeli cabinet ministers in their respective efforts to advance legislation that will empower the Knesset to reinstate laws that are stricken down by the High Court of Justice. Referred to as the “override bill,” the various versions of the legislation – several of which were covered in last week’s Settlement Report – have not, at the time of publication of this Settlement Report, been reconciled. Education Minister Naftali Bennett (Jewish Home), who is pushing for one of the more extreme versions of the bill, threatened to call for elections if Prime Minister Netanyahu does not bring the legislation up for a vote (despite the fact the cabinet has not agreed on what they would be voting on). The threat comes after Netanyahu’s decision to delay the vote by one week in order to seek the support of High Court Chief Justice Esther Hayut, who the Times of Israel speculates might offer another version of the bill. Hayut agreed to meet with Netanyahu on the condition that the vote is delayed. That meeting is scheduled for Sunday, April 29th. The drama over the “override bill” relates to settlements because Knesset members are anticipating that the High Court of Justice will strike down the Regulation Law. 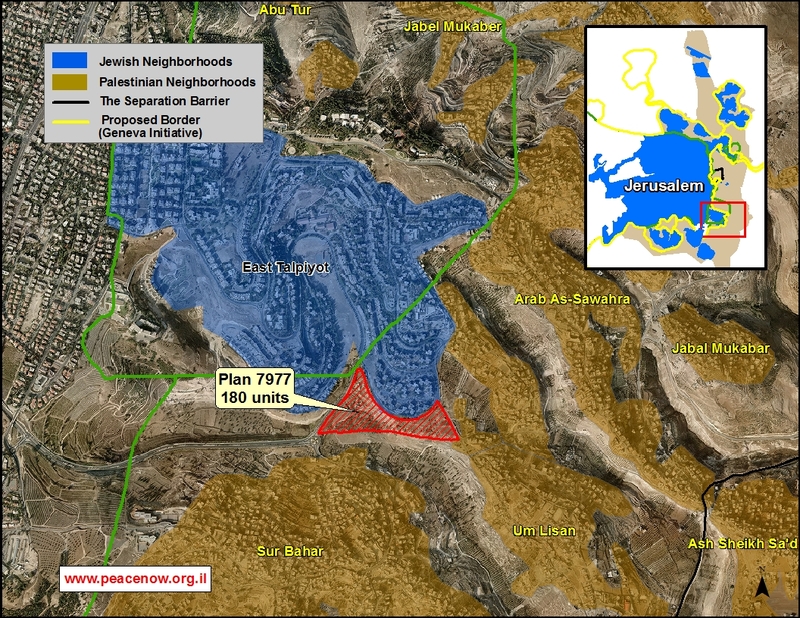 That law (covered extensively in past reports and in FMEP’s new resource documenting annexation policies) was passed in February 2017 in order to provide a legal basis for Israel to retroactively legalize outposts and settlement structures by permitting Israel to expropriate privately owned Palestinian land for this purpose. Last week, comments by Transportation Minister Yariv Levin made explicit the connection between the fate of the Regulation Law and the “override bill,” making clear that a key goal is to ensure that in the event that the High Court strikes down the Regulation Law, the Knesset will have the power to reinstate it. The same week that the term “occupied territories” (as well as “occupation”) disappeared from the State Department’s annual report on human rights, reports surfaced suggesting that U.S. Ambassador to Israel David Friedman has been angling to use the term “Judea and Samaria” in his speeches and in State Department literature, instead of “the West Bank.” The phrase “Judea and Samaria” is the Biblical term for the area known to the world today as the West Bank. It is the term used by settlers and pro-annexationist Israelis to refer to the West Bank in order to assert what they see as the Jewish right to and rightful ownership of the land. After hearing that Prime Minister Netanyahu was planning to advance settlement construction projects, President Trump reportedly asked Netanyahu if he was genuinely interested in peace in a call late last year. Three sources told Axios that the call took place as Israeli press outlets were speculating that Netanyahu intended to allow a number of sensitive settlement to advance soon. The White House has not denied the account of the conversation.